I am pleased to share our next member spotlight with you. The Behavior Analysis Center for Autism (BACA) has been a participant in our annual conference for the last 5 years and has been a strong supporter of CASP. Thank you to BACA’s Administrative Director, Devon Sundberg, for such thoughtful responses. I hope you are enjoying the opportunity to learn more about fellow CASP members! What’s something your agency has done or accomplished recently that you are proud of? What’s an interesting fact about your organization that people may not know? People may not know that our specialty is in applying Skinner’s analysis of verbal behavior to teaching children with special needs. We’ve had many strong VB experts overseeing our work since our inception and it has resulted in advanced quality programming for our clients, a strength in teaching signs and understanding their benefit for the non-vocal, and an amazing preschool setting where our staff bring in their children to serve as peer models for our clients. Do you have any advice for new organizations or leaders? If we were to start from the beginning again, we would have strong financial leadership in place. That role is different for every agency depending on various factors, but currently we operate with a full-time controller and a part-time CFO and it has contributed to our success. I would also suggest an internal insurance billing department. Having control over that function results in a more content financial staff and more timely, and effective results (i.e. we get more of what we bill). On the clinical side of business, we would highly recommend senior clinical staff overseeing lesser experienced behavior analysts. The task of teaching people with special needs is too complex and full of ethical dilemmas for an inexperienced behavior analyst to face alone. Adopting a strong ethical code for the entire agency to prevent issues that result in time spent outside of your mission. Complete the following sentence. We joined CASP… We were invited to our first CAS conference in 2013. We received both knowledge and relief. We finally had a benchmark to compare our own performance to given how few providers there were similar to us. We felt relief through receiving training from those who have experienced similar problems and circumstances. It is our most valued conference for our leadership to attend annually. We wanted to support and maintain access to this resource. If we were visiting your organization, what would be the best place in town to eat? For BACA’s main location in Fishers, IN, two restaurant recommendations would be Chao Vietnamese Street Food and Bento Cafe. For a quick stop in during lunch time, both offer a quality and unique menu at an affordable price. As the Fishers area continues to grow, our restaurant scene continues to benefit greatly. Is there anything else you would like to tell us about your organization? We would like others to know that we are a private organization owned by behavior analysts. Many companies similar to ours take pride in a non-profit status; while this is of value, it has been of great value to us to work with our clinical and financial leaders and make decisions for our company based on our independent view of what behavior analysis is and what is financially wise for our business. 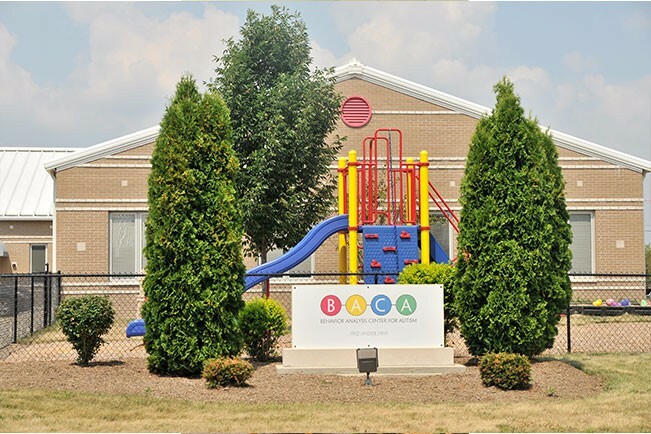 Our goal is that BACA becomes an institution that symbolizes sustainable, quality verbal behavior services for years to come. Copyright © 2017, Council of Autism Service Providers All rights reserved. Council of Autism Service Providers - CASP shared a post. There are only 8 spots left for CASP's Leadership Summit in Boston! If you're interested in attending, we strongly encourage you to sign up this week!! Have you ever wondered how you can go from being a boss to a leader? Do you know how to identify and grow talent within your own organization? How do you ensure you receive honest feedback about your performance? These are only some of the topics we'll be covering at the CASP Leadership Summit in Boston, June 13-14, 2019. We just added the AGENDA to the CASP Leadership Summit website! Check it out and let us know if you have any questions!